How can you be a LinkedIn thought leader? I’m always amazed at how many people still think LinkedIn is a recruitment site. Sure, there are a LOT of agents on there, and, yes, they do spam the hell out of people. But LinkedIn is so much more than that. One of the best ways to get attention on LinkedIn is to demonstrate how you are an experienced thought leader in your specialist subject. Ask yourself: how quickly do you scroll down the LinkedIn newsfeed? Swifter than a swift swift I bet. Unfortunately, out of all the social networks, LinkedIn’s newsfeed is probably the one that hasn’t quite got the algorithm sorted. You’ll often see lots of new positions being announced (fine), but also connections that are commenting on posts from their newsfeed that may be irrelevant to you. Occasionally, you’ll come across a connection that has actually made the effort to compose a post of their own, maybe with a link, image or even (because it’s 2017) a video! These are easy to like and comment on, but users scroll past them after a tertiary glance. How can you stand out in this noise? By offering extended value via the wonderful world of LinkedIn articles. Now, I used to say that LinkedIn groups were THE best thing about LinkedIn, but I’m afraid there are just too many groups that are one-way broadcast fests. Link here, link there, ‘buy this’, ‘look at us’, and so on. 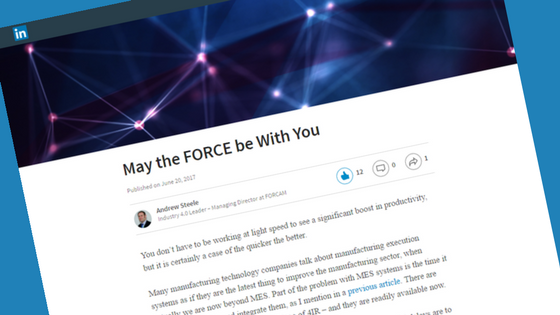 Today, LinkedIn articles are the place to be! With articles, you have the time to express your perspective and add some considered musings. You can articulate in a way that isn’t snatched by a limited number of characters or the dreaded ‘See More…’ link. The functionality of LinkedIn articles is exactly the same as a blog so, if that’s a format you’re comfortable with, and you want to keep it nice and light, conversational, then go for it – you’re way ahead of others. But the most successful articles, in my opinion, are written like articles you would read in a magazine or publication; they are informative, add value and have structure. Incoherent ramblings won’t cut it, I’m afraid. All of these types of articles are helpful to the person taking the time out of their day to cast their eyes on your content. Don’t let them down by a brief paragraph and a list of benefits of buying your business’s product or service. Frankly, unless you specifically say in the title and accompanying post that you are going to tell them the benefits of something you sell, you’re no better than clickbait. Create a headline that explains what’s in the article – perhaps the question you’re going to answer, or stating that it’s a review of something. Even better, use a pun or something exciting. There are many posts on the internet, from people like me, telling you that titles such as ‘5 ways to get cold calling right’ get more readers. What we’ve found from working on content for our clients, is that articles on LinkedIn with a clever, intriguing headline get more views. Why? Well, I believe it’s because of the demographic on LinkedIn. This isn’t the witty Twitter or the rather sensationalist Facebook. 79% of LinkedIn users are over the age of 35. They are primarily there for professional reasons and, you could argue, that the combination of the two means there are plenty of decision makers there. What do they want to see on this ‘professional’ network? ‘You won’t believe what she did next’? Certainly not. What results can you expect from a LinkedIn article? Answer: unless you hit the jackpot on your first attempt, don’t expect anything like an immediate return. Consistency is the key to success with LinkedIn articles. When people see your first article, they will probably look at it out of curiosity. On the basis that it’s not just a list of reasons to buy from you, and that it’s probably half-decent and genuine, they’ll read your second. And your third, and fourth. It takes time for people to become thought leaders. Thought leaders don’t just have an opinion on one thing, they are able to comment on many topics that are relevant to their sphere of expertise. By writing articles over a period of time, you will build trust with your readership. As a trusted source of information, you will see the number of views go up, as you will the number of comments and shares. People will gravitate towards you and start referencing you. We see increasing numbers of interactions and readers on our clients’ LinkedIn articles where they take this approach. They also receive more qualified, relevant connection requests. You know your specialist subject. You are an expert in what you do. It’s time to craft your first LinkedIn article and show your many connections that you’re a thought leader in your field. If you need someone else’s expertise to kick-start your LinkedIn strategy, we can help.